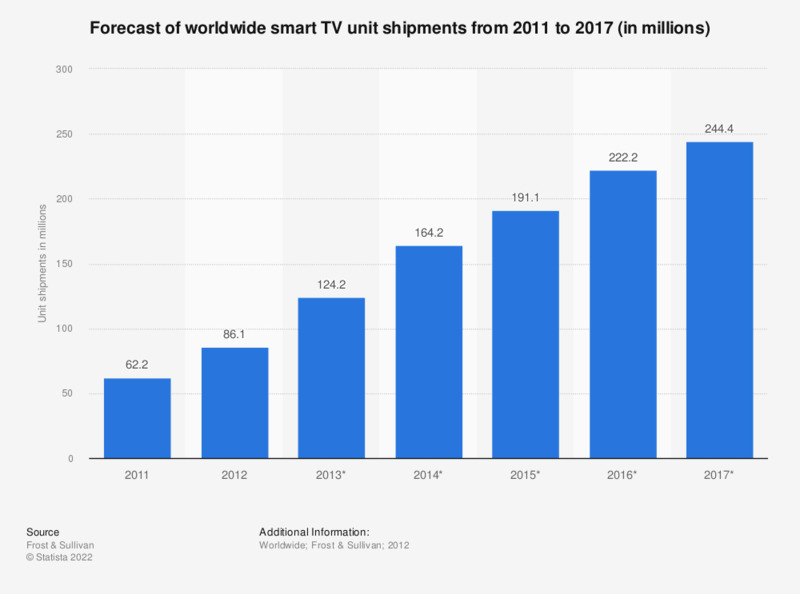 This statistic depicts a forecast of worldwide unit shipments of smart TVs. It is estimated that in 2015, 191.1 million smart TV shipments will be made. According to Frost & Sullivan, driving forces in the growth of the smart TV market are the easily accessible content and the high picture-quality. How often do you use the following apps on a smart TV?